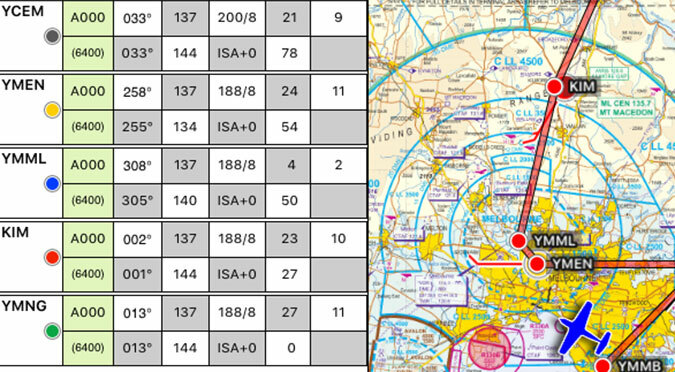 Not all waypoints will have a METAR dot, but if there is a METAR station associated with the waypoint you’ll automatically see it depicted in your flight log. They will update at as the METARs get updated. 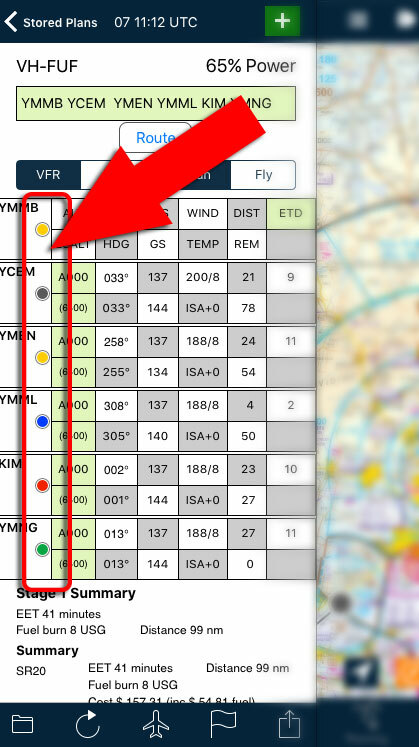 Tap on the row of a waypoint and tap MET to see the full METAR/SPECI details. • Green (VFR). Visibility >8km, Cloud >3000ft AGL. • Blue (Marginal VFR). Visibility >5km, Cloud >1000ft AGL. • Yellow (IFR). Visibility >1600m, Cloud >500ft AGL. • Red (Low IFR). Visibility <1600m, Cloud <500ft AGL. 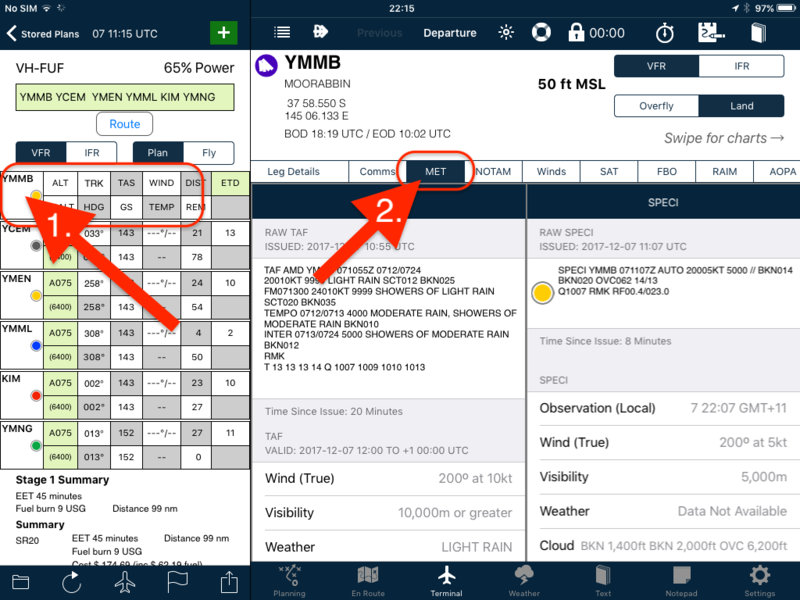 • METARs with unknown or missing data (some only collect wind and/or QNH) are displayed as grey icons.